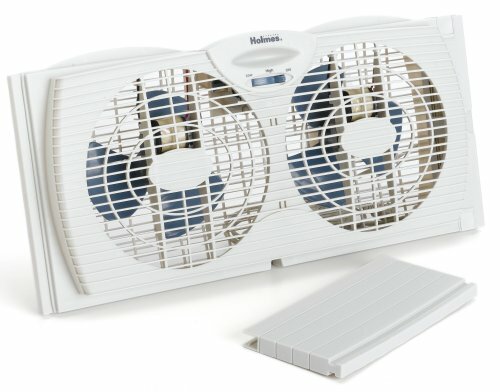 For this post, I have put together a collection of the best window fans currently available. 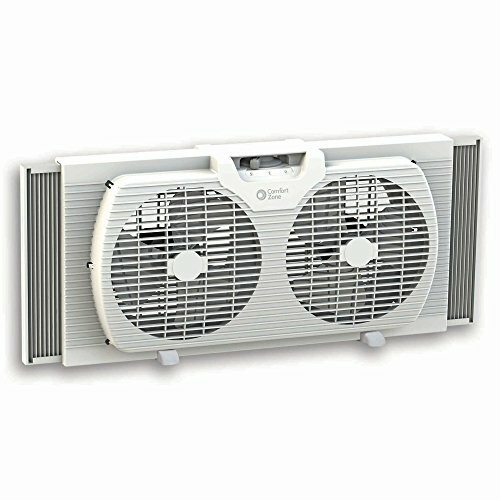 The following window fans use quality components to meet your needs and help to ensure you stay comfortable. So here is my list of The 10 Best Window Fans. Operable either manually or automatically, with its programmable thermostat turning the fans off and on to maintain a selected temperature. Three speeds, electronic controls, and an LCD screen showing the selected temperature and the room temperature. The twin fan is designed to fit double-hung, vertical-slider, and casement windows. Set your desired temperature level to the degree from 60-80 degrees and the fan will automatically turn off and on in response to the ambient room temperature. Remote control operation provides the ultimate in convenience, altering speed, manual/automatic operation, airflow direction, and temperature from up to 15 feet (4.5 meters) away. Fits window openings that are between 27-inches and 38-inches wide and are 26.25"" tall. Storm Guard feature enables the window to be closed behind the fan during inclement weather, or when securing the home. Made of an impact resistant plastic housing, powder coated steel front grill and blade. 3-speed, 1-phase motor and sleeve bearing, permanent split capacitor. Air King offers a full line of industrial grade and commercial grade air circulating solutions. Draws in fresh, cool air from the outside or exhausts stale, hot air from inside. 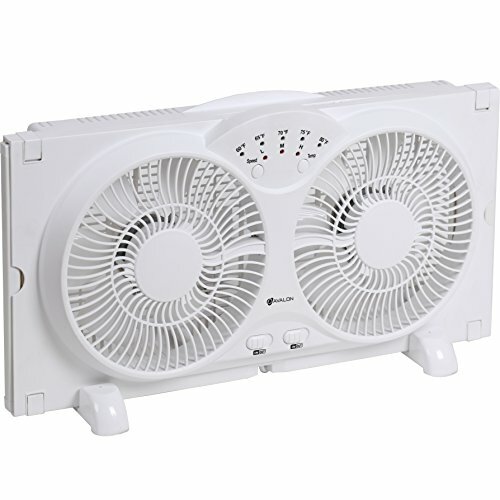 Two fans can be set independently to draw in or exhaust out, allowing the unit to exchange inside and outside air. 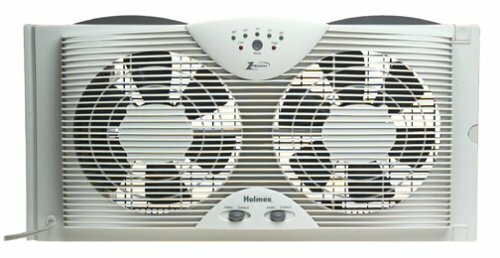 Operable either manually or automatically—with its thermostat turning the fans off and on to maintain a selected temperature. One-touch electronic control and two speeds so it can be adjusted to specific conditions. Designed to fit double-hung, vertical-slider, and casement windows. Set and control your fan speed and temperature for optimal air flow and comfort with two digital comfort settings. Screen expands to fit most double-hung and slider windows, with extender panels also included. Set one fan exhaust and the other intake at the same time, without turning it around in the window. Lightweight and has a convenient carry handle built into the back. Can be installed into the window or used freestanding with its two removable legs. Both sides of the fan have expandable panels that can pull out up to 6.5 inches on either side and lock into place. Fit the opening of various sized windows up to 37 inches in width. Two removable stand legs to allow you to use this fan as a freestanding fan on a counter, ledge, or floor. 3 Speed Settings, an adjustable thermostat with LED Indicator Lights, and can be used as intake or exhaust. Fans have 2 independent copper motors allowing you choose to use one of the fan heads for intake while the other is used for exhaust simultaneously. Fans have two independent copper motors. 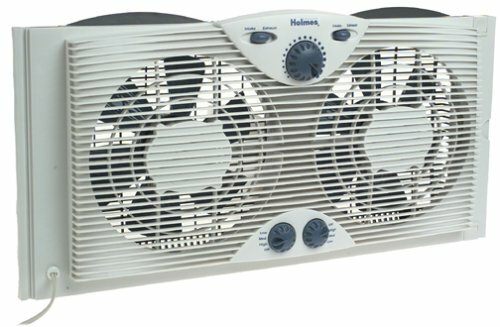 Set and control your fan speed for optimal air flow and comfort with 3 speed settings and comfort control thermostat. Screen expands to fit larger windows and slider safe extender panels offer rigid support for vertical orientation. Offers a sleek and innovative design and an economic solution to fulfill your cooling needs. A digital programmable thermostat and fully functional remote control offer the ultimate in convenience. Cost efficient solution to traditional air conditioners by providing a refreshing stream of air during the hot and muggy weather. Digital thermostat allows you to set and maintain your personal comfort level. 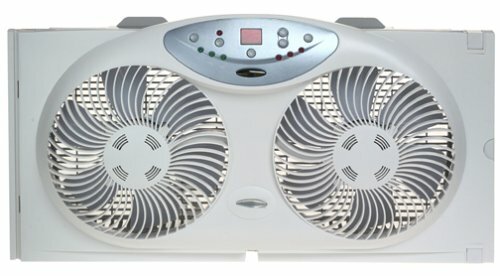 Quiet and efficient operation makes this ideal for bedroom or living room use. Three speed settings and remote control. Draws in cool air from the outdoors or exhausts the stale indoor air when installed facing outward. Designed to fit virtually all slider and double hung windows. The quiet and efficient operation makes this idea for living room or bedroom use. The fan's extender panels allow for a safe, custom fit. The manually reversible feature lets you control your airflow for intake or exhaust. Screen expands to fit larger windows and slider safe extender panels offer sturdy support for vertical orientation. Eco Breeze turns your regular window into a smart, cooling window. 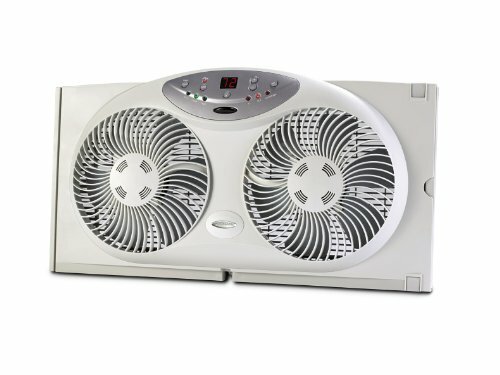 Automatically brings air inside when it’s cooler and less humid outside. Continuously senses indoor and outdoor conditions with its built in humidity and temperature sensors. Turns on when outside air is cooler and dryer than inside air then shuts off when it reaches your temperature set point or outside air can no longer cool. Louvers automatically open and close to minimize air leakage keeping the cool air inside and the hot air outside. The 3 speed fans operate quietly, automatically switching to the lowest speed that will satisfy cooling needs. Typically during the summer, cooler outside temperatures occur in the middle of the night while you are sleeping. But, who wants to hassle with waking up at 1 am to install a window fan to bring in that cool air? Window fan will turn on and off automatically. The adjustable wing panels accommodate windows from 22 to 36 inches wide. 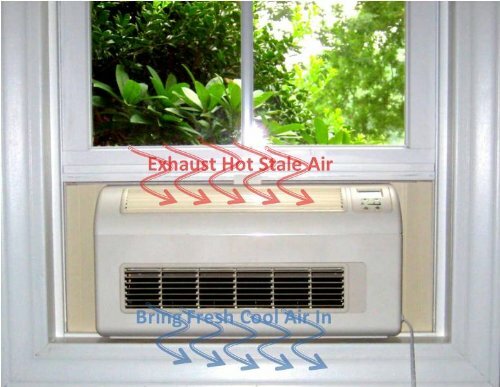 Manual window fan disperses invigorating, revitalizing coolness for maximum comfort and freshness. Lifeless air dissipates to breaths of nourishing air and the renewing effects of cooler air become more present in your surroundings. Bionaire brand technology, you can live in harmony with nature for a serene home environment. Designed for use either horizontally or vertically. Set and control your fan speed for optimal air flow and comfort with 3 speed settings. New 'Firm Fit' locking extender screen. 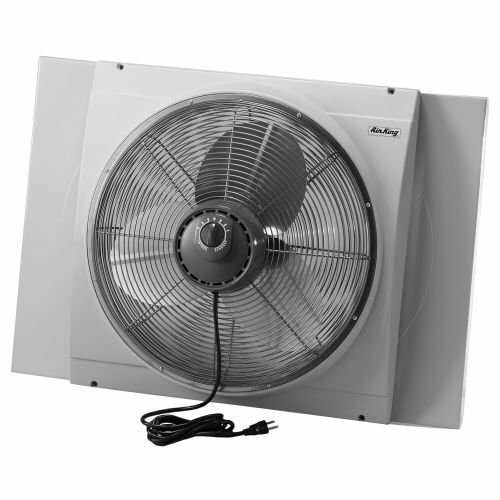 Manually reverse the fan to intake fresh cool air, exhaust hot stale air or exchange for full room circulation. Two speed dual window fan. Three speed 9-Inch turbo blade fan. Features a 2-speed dial control, accordion expanders and a universal fit for most windows. Plastic enclosure contains UV materials to inhibit aging. Keeps out hot, humid air when not in use. Removable feet for table-top use. 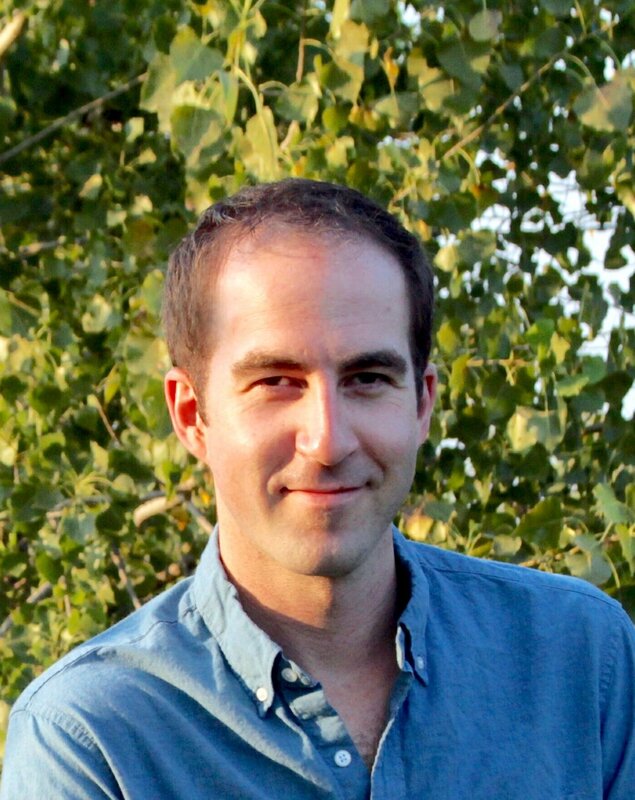 I hope this list of the best window fans was helpful.